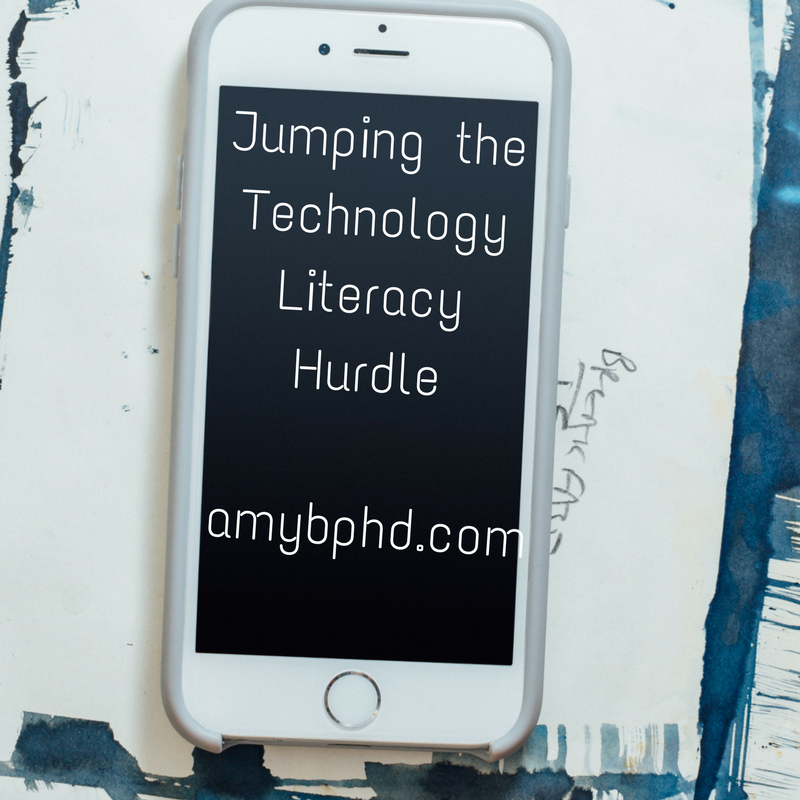 Jumping the Technology Literacy Hurdle | Amy Bucher, Ph.D.
Information is no good unless people can access and use it. Not knowing how to use technology keeps people from useful health information. 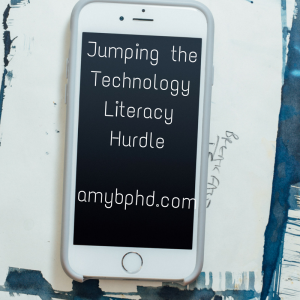 A lack of “technology literacy” can make it hard for people to find and follow reputable health advice online, use and make sense of connected devices, and even interact with their providers when there are tech systems involved. How can we address tech literacy to make these health resources truly available to people? It’s a big problem, but I have a few ideas to start, which range from influencing how we educate our young students to designing and building our technology differently so it’s easier for people to access. Teach them young. It makes sense to begin thinking about technology skills as part of a core learning curriculum from an early age. From the bottom up, educators and parents can look for opportunities to address technology as it makes sense. From the top down, I’d love to see public policies emphasizing a formal tech curriculum in schools. For those of us who are out of the formal education system, we can look for other opportunities. For basic computing and internet skills, public libraries often have free tech courses; they might consider offering them outside of the typical work day to accommodate more people. For people who are comfortable with the basics but want to gain more sophistication with technology, there are groups like General Assembly and Kahn Academy that offer either in-person or online tutorials. And for people who are already skilled with technology, there is likely an opportunity to teach others, either formally or informally. Design for mobile first. There are two reasons why I think designing with mobile as the primary intended platform will help with tech literacy issues. First, lower income populations or people living in rural environments may have more reliable access to mobile data than an internet connection. Having information easily accessible on mobile may make a huge difference to people who only have a phone or tablet to access the web. Second, mobile-first done well can force designers to ruthlessly prioritize and organize information, which ultimately makes it easier for everyone to use. Teach people to recognize credible information. “Fake news” is not just for politics. There are countless misleading or outright wrong health resources online. In the case of ones like Goop, Gwyneth Paltrow’s lifestyle site, the appeal of celebrity endorsement and glamour of wealth makes it even easier to overlook the tenuous or absent scientific foundations of the advice. People don’t have the know-how or the wherewithal to think critically when bombarded with so much crap information about health. We can help by encouraging patients and caregivers to check out reputable sources. These might include well-designed patient social networking sites, credible reference sites, or helpful interactive tools. Health care providers remain one of the most trusted sources of health information, so either recommending specific resources or giving patients and caregivers some rules of thumb to identify good ones could be very helpful. I know sometimes there’s a reluctance to recommend something specific (what if they update it and it’s wrong? ), but I think it’s often better than letting people loose online with no guidance at all. A+ for the celebrity factor, F for the scientific credibility. Assess people’s tech literacy then offer the right guidance. I’m passionate about reminding people that you can’t make assumptions about someone’s comfort with technology based on their demographics. Older adults are increasingly tech savvy, and there are plenty of younger people who struggle. Have a conversation with someone if you’re trying to help them with technology and figure out where they’re starting from. Then you can give advice that’s helpful but not patronizingly basic or frustratingly advanced. Recent research has found you can reliably assess tech literacy in older adults with a survey. If you’re in the health profession or another position where you’re often helping people navigate tech, why not browse that survey and see what you can borrow for your introductory tech conversations? I’m hopeful that we will see improvements in tech literacy through a combination of top-down and bottom-up changes, but it will take time. If we each follow the tips above as well as do good work putting quality information into the universe, we can contribute to a positive change in people’s ability to manage their health using technology-based information. Previous PostDesign Tactics to Foster Trust, Part 2: Legalese!Next PostDo We Need Persuasion for Behavior Change?